Other systems have very small weep holes only. 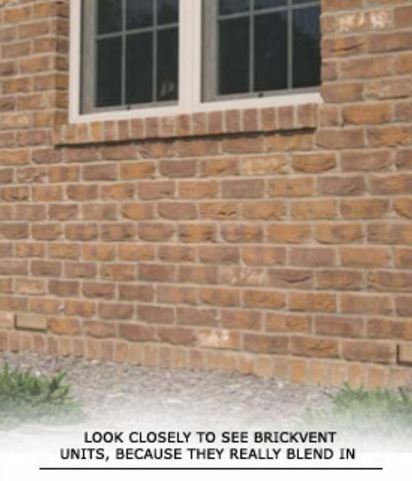 The BrickVent Moisture Control System will weep via the Weep Slots and also allows for air flow through an opening 1 ¾” tall and 6 5/8” wide at the narrowest point. The BrickVent Mortar Deflector ensures that settling mortar and debris will not inhibit the air flow. 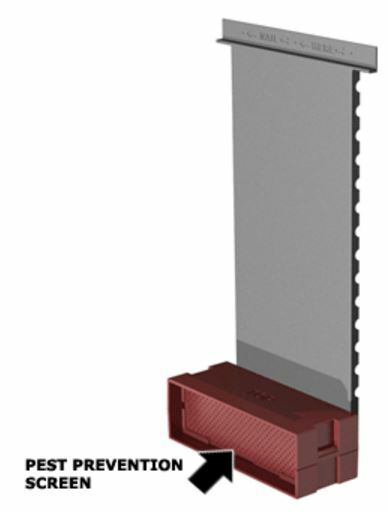 Adjustable Vertical Backplate Vent allows for the variance of a 3/8” to 2” wide cavity that may be between the masonry veneer and the underlying face of the structure. The Pest Prevention Screen prevents unwanted insects or small rodents from entering the space between the masonry veneer and the underlying face of the structure(pests can easily enter through open weep holes). Looks Great and Stands Up to the Elements. The injection-molded BrickVent units are made of a colored plastic to blend in with the most popular brick colors. Custom colors are available at additional cost. Also, the plastic is made for exterior use with UV inhibitors to prevent it from breaking down from exposure to the sun and weather. There are no moving parts to wear out or break. 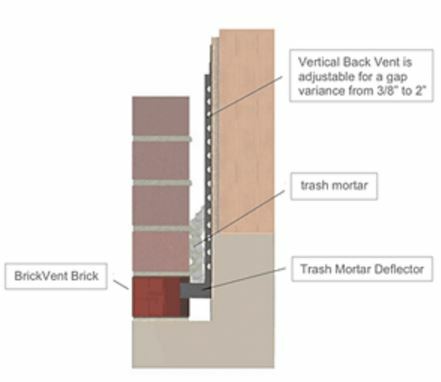 The BrickVent is designed for easy installation for both new construction and remediation into existing masonry structures. See the simple one-page installation instructions.